Fly-On-The-Wall Glimpse Into the World of This Year's Menuhin Comp Candidates - The World's Leading Classical Music News Source. Est 2009. With just 2 days to go until the opening rounds of the 2014 Menuhin Competition, the world’s leading international competition for violinists 21 years and younger, we thought it might be fun to take a quick fly-on-the-wall sneak peak into the lives of a few of this year’s 22 senior and 20 junior competitors. The bi-annual international competition will be hosted from the 21st February to the 2nd of March 2014 at the Butler School of Music, in Austin, USA. 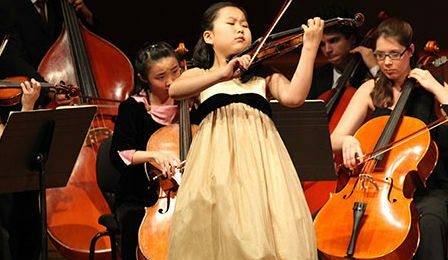 Previous Menuhin Competition prize winners include VC ‘Young Artists’ Ray Chen, Chad Hoopes, Hrachya Avanesyan, Jiafeng Chen, So-Young Yoon, Xiang Yu, Suyeon Kang, Soo-Been Lee and Kevin Zhu. The Violin Channel will be providing live and extensive coverage of this year’s event.